A huge property bubble is looming over London. The housing market in the British capital is the most overvalued in the world, a new report by UBS (UBS) found. "Average real dwelling prices have soared by almost 40% since the beginning of 2013, more than offsetting all losses triggered by the financial crisis," the report said. UBS said London now faces the risk of a "substantial" price correction. The average house price in London reached £499,997 ($766,053) in September, the U.K. government said earlier this week. London's booming house prices are making home ownership difficult or even impossible for many average Londoners. Median annual salary in the British capital was just over £34,000 ($52,106) last year, official data show. And while house prices keep rising, real wages fell by 7% since 2007. "It takes a skilled service-sector worker approximately 14 years of average earnings to be able to buy a 60 square meter (645 square foot) dwelling," the UBS said. That compares to 11 years in New York and 13 years in Paris, the report said. Related: Who owns London's landmarks? The population of the British capital is increasing and so is the hunger for housing. But the demand is not matched by growing supply. An influx of foreign buyers is adding fuel to London's property boom. The city is seen as a safe haven, with Qatari, Chinese and Russian investors among the biggest spenders. 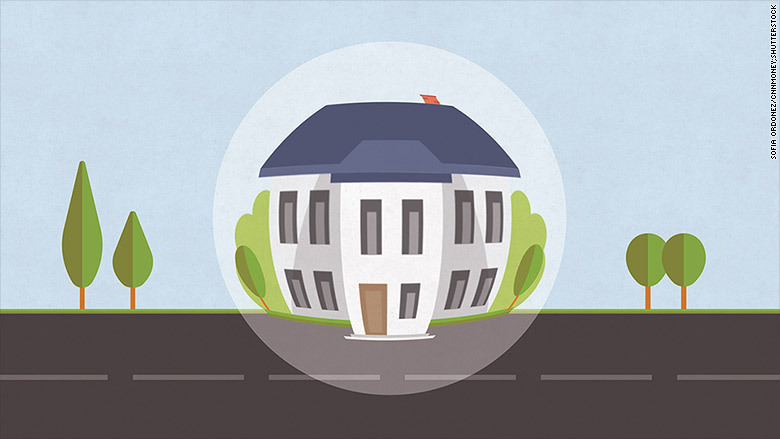 The UBS report said London and Hong Kong are facing the highest bubble risk. The report also pointed out markets in Sydney, Vancouver, San Francisco and Amsterdam as "significantly overvalued."